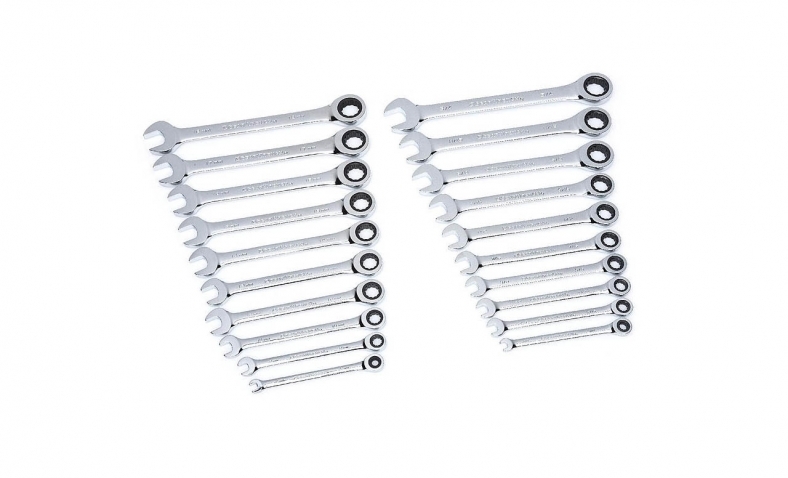 The wrenches feature a nice chrome finish with an open end and a ratcheting box end. 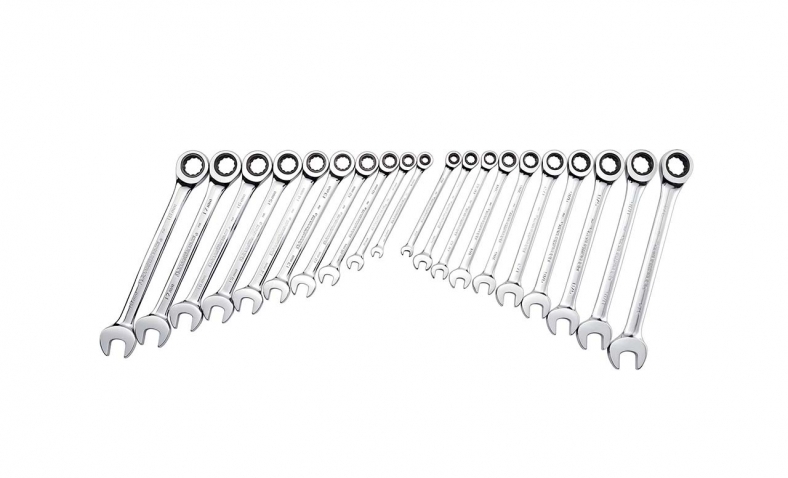 The wrenches meet or exceed ANSI, DIN and federal torque specifications. The ratcheting box end moves the fastener with the speed and precision of a fine tooth ratchet, requiring only 5 degrees to move a fastener compared to 30 degrees for a standard box end. The box end also features a surface drive to prevent rounding of fasteners. The wrenches have no offset and are non-reversible. Using the wrenches is very straightforward. The open end is like any other wrench, although the casting looks a little goofy and is larger than some other wrenches, even in the Gearwrench lineup. The ratcheting end works as it should but needs to be flipped over to change direction. A user will need to be mindful of using it in tight spaces. The lack of a reverse switch can make loosening a fastener tricky if the end is near an obstruction with no way to change direction. For most, this shouldn’t be a big issue. As mentioned earlier, this set would be good for a low cost option to start a collection or for someone that just uses it around the house. For serious automotive work, reversible wrenches with a slight offset or flex are a must. Good for a low cost option to start a collection or for someone that just uses it around the house.